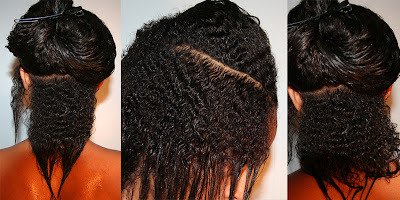 Natural Hair Can Save You Time & Money! Before going natural I was a 'SQ', yes I was a Salon Queen. Before deciding to go natural I went to my beautician often, and if I wasn't in the salon, I was doing my hair at home or having my sis Latashi do my hair. At the salon I would spend at least $40 for a hairstyle that included a wash, sitting under the dryer for about 15 minutes plus, then sitting in the chair for however long for the style I chose. The longest I've been in the salon was about 5 hours. Crazy HUH?! lol but my beautician always did an excellent job. I walked out looking like a model, but my hair was being damaged. To keep the style up I would go home, and flat iron my hair a couple days later, or whatever to keep my look up. (Heat is a huge no no!) I never let my beautician perm my hair, so the $40 plus dollars was just for a style. If I thought I needed a perm, I would go to Target, a hair store, or Wal-Mart to get the perm I always used. Botanicals Relaxer, or the Silent Hair Killer! It was $5 plus tax, then I would buy hair weave if I wanted to add length. You already know how much that crap is! About $20 to $30 a bag for my Dream Weaver Human hair. What was I thinking? I know now that I was damaging my gorgeous curls. I knew that my salon visits would add up, but I wanted to look good. Now, I can look good, save money and time. Grow my lovely hair out, not damage it, and have any hairstyle I imagine. The healthy way. I buy nothing but natural hair products. Yeah they can be pricey, but they do not amount to the salon visits, the expensive weaves, etc. Think about it, if my natural hair product saves my hair from being dry. I do not have to buy another product. This saves me money. I also use to buy flat irons, blow dryers, etc. My goodness, and I'm sure I'm not the only one who did this! Natural hair saves you soooo much money, and it doesn't take much. It's more unique, and you can express your true beauty with natural hair. You can start saving money too. If you're already natural. Once you've gotten over your product junkie phase and you've found that right product. Stick with it & Stock up on it! If you like it, buy it. This saves you money because you're not taking those trips to the store over and over again. No Gas money needed, and you're not randomly buying other products. Stay away from the salons. This is where you're spending the most. Besides, Whatever they can do, you can do w/o damaging your hair! Or you can find some one who can. If you care about your hair, you will be very cautious with who messes with it. You can even watch a Youtube tutorial on the style. Stay away from chemicals completely. They are costly and damaging. Stay away from those expensive flat irons. Leave the Chi's at the store! Too much heat is damaging too. Stop buying all that human hair. You have hair on your head. Wear it! It's gorgeous, it's curly, and it's what God gave you. It's okay to add hair in every now and then for that big natural hair look, but not every other week. Your scalp likes to breath. Let it! Buy Natural hair products, that first time buying them may seem like too much but they are great for your hair and will solve most of your hair worries. This can save you money in the long run. 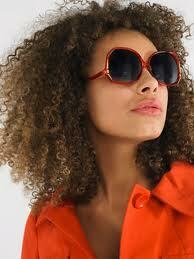 It has been reported that most African American women spend almost half their income on their hair. As far as buying hair products such as perms, weaves, etc. The hair care industry is a multi-billion dollar industry and most of the products are damaging to our hair and scalps. The ingredients are harsh. This video below shows how alot of women don't even know what natural hair is...there was a bunch of nonsense spoken, and a little truth about how heat damages the hair. Just take a look for yourself!